Two-hundred and 18 years ago Colonel Timothy Pickering made history when he signed a peace treaty between the United States and the Six Nations Confederacy that established the Native American tribes' sovereignty. To commemorate this day, on Sunday, November 11, members of the Six Nations will gather on the front lawn of the Ontario County courthouse for the annual re-dedication of the treaty. Events will begin at 1:30 p.m. with a parade from Canandaigua Primary School (96 W. Gibson St.) to Ontario County courthouse (27 N. Main St.). Along with the re-dedication, there will be a potluck dinner and a presentation by keynote speaker Jamie Jacobs, a cultural spokesperson from the Turtle Clan with extensive knowledge of the Haudenosaunee. Events are free and open to the public. For more information, call 742-1690 or visit ganondagan.org/TreatyCelebration.html. 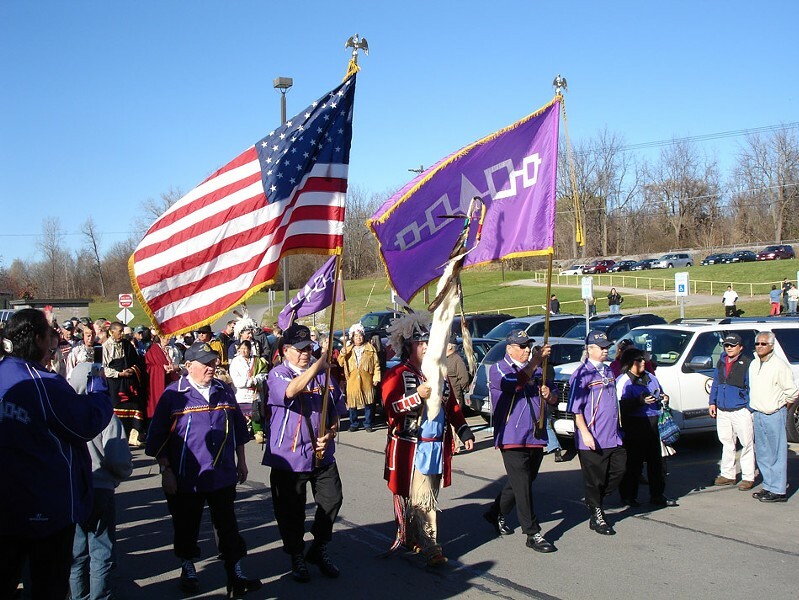 If the Haudenosaunee, or Iroquois, community is something of particular interest to you, be sure to learn more about the culture at Haudenosaunee Day at the Rochester Museum & Science Center. On Saturday, November 10, noon-4 p.m. local Haudenosaunee artists will display traditional jewelry making and basket making, storytellers will tell folktales, RMSC educators will give tours of the museum's world-renowned collection, and a local Seneca artist will conduct free classes on how to make cornhusk dolls. Cornhusk doll classes divided by age groups will begin at 10:30 a.m. and end at 3:15 p.m. To register, call 697-1942 ahead or the day of the class (provided there's space). Cost included in regular museum admission, $11-$13. The RMSC is located at 657 East Ave. For more information visit rmsc.org.